Reflexology is a non-invasive therapy that uses pressurized thumb and finger-walking techniques to reflex points on the hands, ears, & feet. Reflexology is a Science, as well as an Art. THE SCIENCE: It is based upon the premise that there is an invisible map of the human body on the feet, the hands, and the ears that correspond to specific body parts and regions. By applying finger pressure to reflex points (i.e. areas on the “map”) it stimulates nerve endings and meridian pathways which send impulse-messages back to the corresponding organ(s), body system(s), skeletal structure(s), or to general body regions (or body zones). That is, Reflexology triggers a kinetic reaction through nerve pathways or meridian lines that travel directly to connecting nerves and meridian points and back INto the targeted regions in the body. 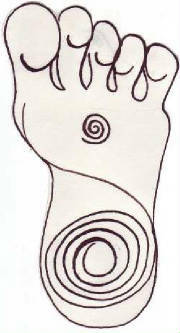 THE ART: After having learned the Science Theory of Reflexology, and through dedicated practice, one begins to develop an ability to feel and associate the correlative stress (or related pain) in the hands, feet, and ears with the body regions; and further, a practitioner may even begin to See -from a kinetic standpoint- what repetitive activities their client(s) might be doing that has caused, and/or is perpetuating such body discomfort and distress. Stress and trauma (physical or emotional or mental) is "held" in the body, be it in the fascia, tissues, muscles, or internal organs. Trauma operates on many levels and its cumulative effects ravages to the body. Its "faces" effect the physical, mental, emotional, moral, and spiritual aspects of our self. For example: an improper diet, bad posture, negative thoughts, reactiveness, low self esteem, mean spiritedness, ignoring responsibility, taking on someone else's responsibilities, egotism, arrogance, sloth, servitude, overly sympathetic, (and-on-and-on) will add a corresponding degree of dis-ease into your body. Literally eats at us. We therefore must be mindful of what we choose to do and think always. Anything "eating" you today? 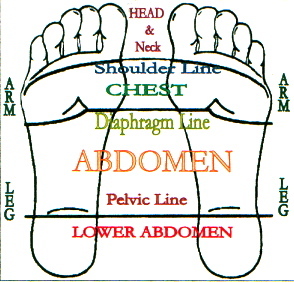 At any rate... administering Reflexology therapy and techniques might help to clear energy blockage and congestion that occurs along the nerve and meridian pathways, back through to the corresponding body regions / zones, thus reducing accumulated stress from end-to-end (no matter what is the cause). While Foot Reflexology is practiced worldwide, hand reflexology is becoming better known; and incorporating the stimulation of ear reflex regions is gaining more and more acclaim. This Integrated Reflexology System is being taught through The American Academy of Reflexology (AAR). The Director and founder of AAR, Mr. Bill Flocco, offers certification courses in this Integrated Reflexology system annually. Integrated Reflexology better targets the build up stress-related chemical deposits in the body using all three reflexology maps. Over time, with deliberate attention paid to rid you body of stress, Reflexology can help peal-away the years of tension that the cells in your body are still holding on to. In recent history, Reflexology was also known as Zone Therapy. However, there is evidence that this art and science was also practiced in some way thousands of years ago too. Lower back / shoulder stress? Old injury pain still lingering? and can reduce chronic pain. arthritic joints and other ambulatory issues. - Reflexology generates a better sense of well being. If you are over-stressed, it can help you relax. If you feel lethargic, it can help revitalize you. Since ancient times it was believed that regular massage therapy applied to the feet has had ongoing beneficial health effects. Now, it is being proven that the feet, hands & ears reflect an “invisible” map that correspond to all regions of the human body. Thanks to the efforts of many physicians for the past several hundred years, the Art of Reflexology is being codified into a Science. It seems everyone these days is seeking to find a proper and safe way to relax in order to regain and restore a balanced energy flow. Reflexology is a perfect solution to help reduce the ongoing buildup of stress; or alternately, it helps revitalize the body's muscle tissue and organ function. There is much testimony and scientific evidence that Reflexology has had direct beneficial effects towards alleviating symptoms, eliminating stress, and contributing to having better sense of well-being. However, Reflexology cannot promise to cure any progressed diseasees or chronic ailments. Despina Tsiknas-Arzouman has practiced Reflexology as an integral part of her personal health & fitness program since 1978. Because of the benefits she has derived throughout her life, she has chosen to become an accredited practitioner in order to share the values gained from her years of ongoing study, insight, & practice. 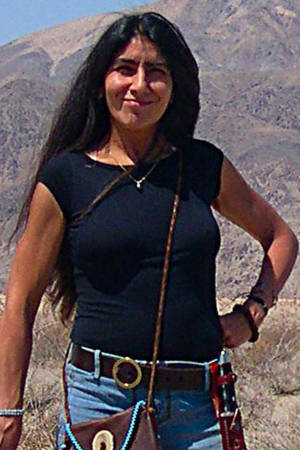 Despina earned her Certification from The American Academy of Reflexology in January, 2002; she is a Professional Member of the Reflexology Association of California for 15 years; and obtained a Certification in the Art of ACUPRESSURE in 2016 through the Acupressure Institute (in Berkeley, California), and is licensed to practice this business in the City of Sierra Madre (License #21422). a Profound Sense of Relaxation! can assist to relieve tension in the corresponding body regions. "The doctor of the future will give no medicine, but will interest his patients in the [personal] care of the human frame, in diet, and in the cause and prevention of disease."